Synthesis of creativity and science is what characterizes the activity of the Department of Restoration of Easel and Monumental Painting. Development of a creative approach and coordination of scientific processes is the key to the successful development of the department. Scientific researches conducted by the department comprise chemical and technological study of the monument, as well as collecting of historical and art criticism information about it, defining the methodology and the result of restoration. This work requires a long time, as well as continuous improvement of the technical equipment of research. The most significant achievements of the research activity of the department are the restoration of works from the funds of the Chuvash National Art Museum, the Alupkinsky Palace and Park Reservation and Kharkiv Historical Museum, I.Yu. RepinChuguev Memorial Museum, temple paintings. 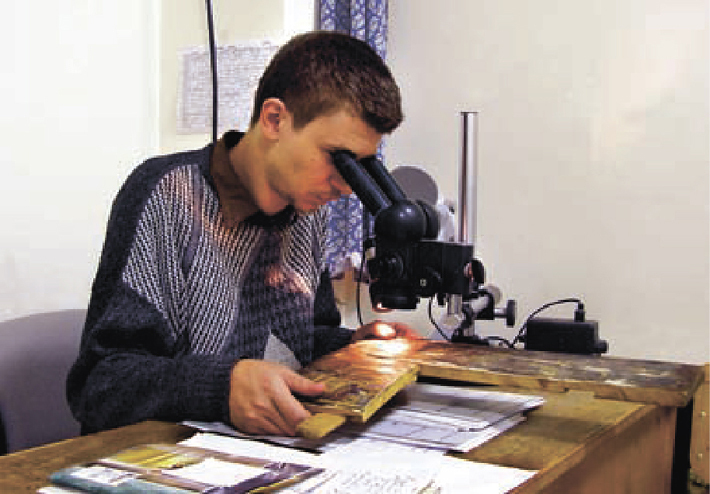 The academic staff and students of the department have restored many works of art of national importance. Many of them, at the time of restoration, were in critical condition.